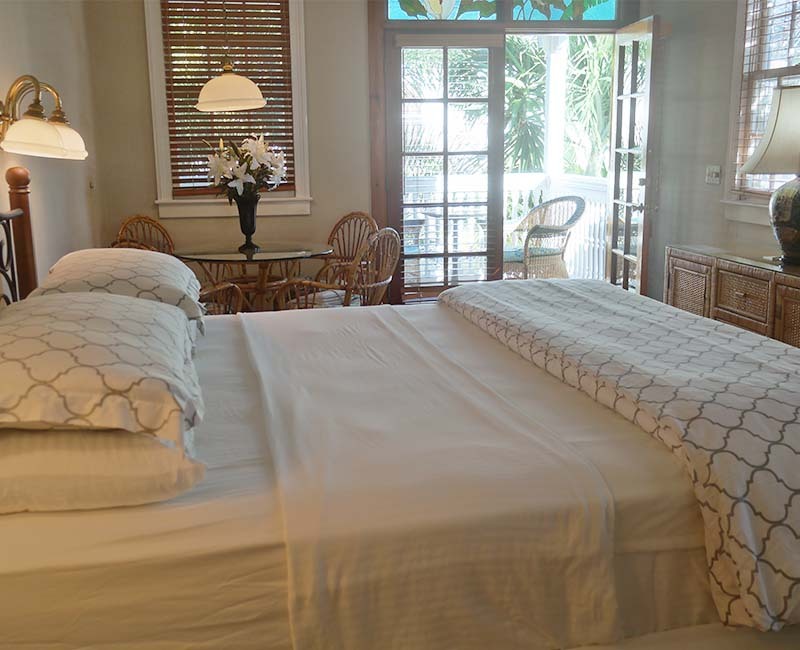 Escape to the beautiful rooms and suites of the historic Heron House in Key West. 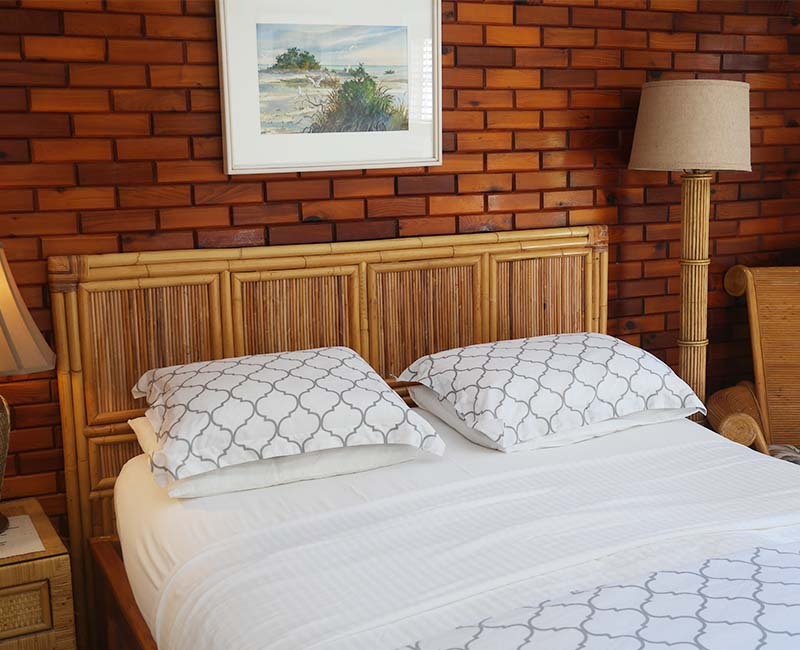 Choose from three stylish and upscale room choices, all of which feature custom lighting, tasteful rattan furniture, colorful fabrics, original Key West watercolors, and bathrooms trimmed in granite and tile. Additionally, our rooms include a mini-fridge, flat-screen TV, mini-refrigerator, porch or patio, iron and ironing board, hair dryer, and AC. Our double-occupancy-only policy enhances your privacy throughout the property. 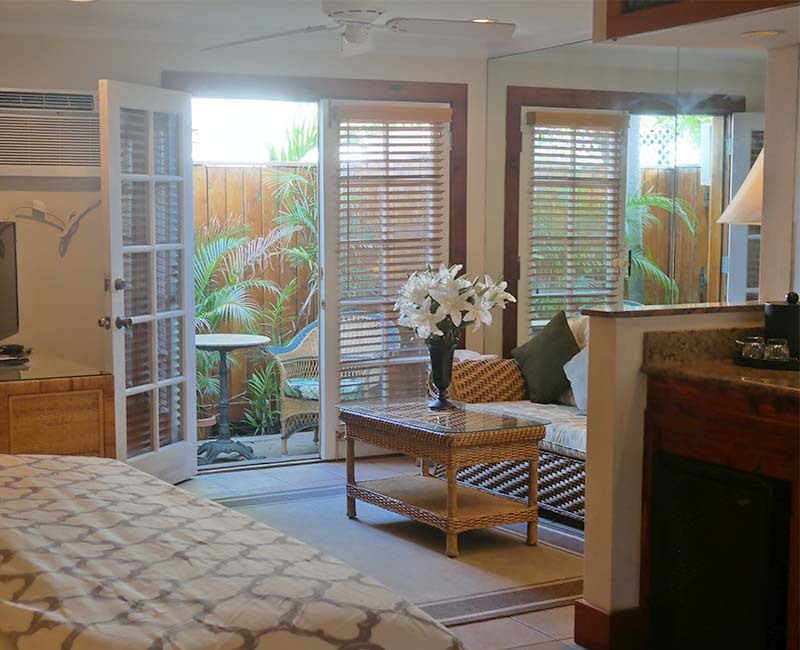 Book our Tropical Queen Room for your upcoming vacation in Key West. This well-decorated room offers a queen-size bed, private bathroom with standing shower, and lovely pool or garden views. Spread out a bit more with our Tropical King Room, offering a king-size bed, private bathroom, and views of our outdoor pool or lush garden..
For the ultimate in indulgence, choose our Tropical Suite. This spacious accommodation offers a king-size bed, sitting area, wet bar, and private bathroom with a bathtub and shower.